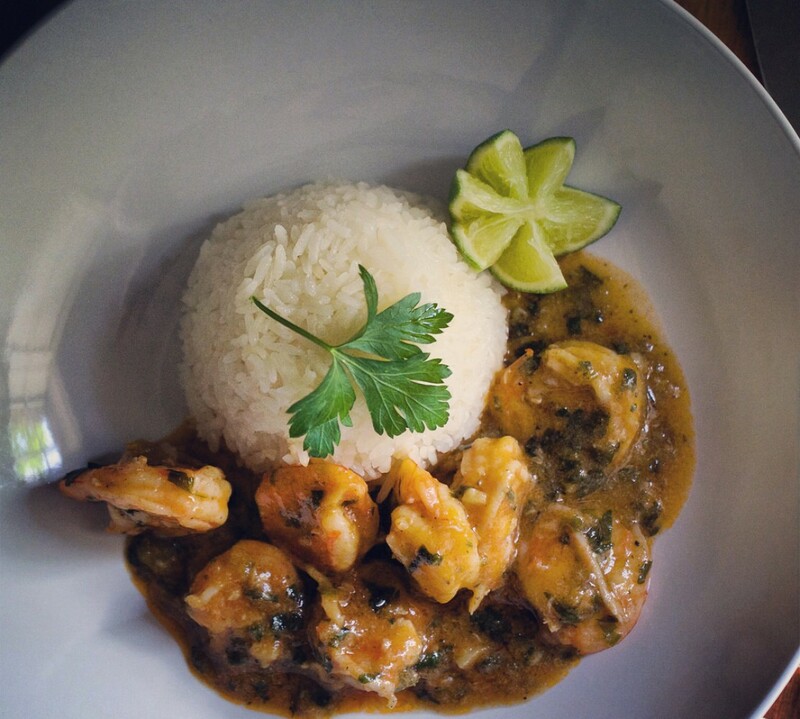 It’s only natural for me to be the most comfortable cooking traditional Panamanian dishes. It makes sense for these dishes to have special meaning to me. That the mere thought of them takes me back home, to the house I grew up in on Calle L, to watching my mom busily stirring pots and pans. There are dishes that remind me of Sunday dinners with aunts, uncles, cousins. 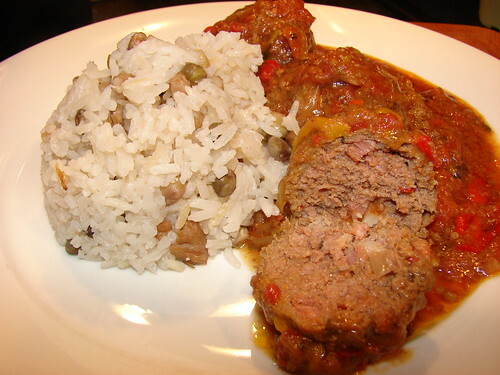 Guandúes are also known as gandules, or pigeon peas and are commonplace in Puertorrican and Caribbean tables and generally combined with rice. 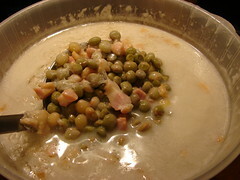 In Panama it is usually made with coconut milk and rabito–salt cured pig’s tail. I don’t have the luxury of using freshly picked guandú, but I can find them in the frozen section or the Latin aisle of most of the grocery stores in my area. Goya is a well-known brand for Hispanic products, they have the frozen ones. In a pot with a tight-fitting lid, brown the salt pork/bacon rendering some of its fat. Add the guandúes (pigeon peas), coconut milk and a bit of salt. Bring it to a boil, then reduce the heat until it simmers. Cook it until the peas are tender, about 40 minutes. Strain the liquid and measure, add enough water to make 3-1/3 cps of liquid, set aside. 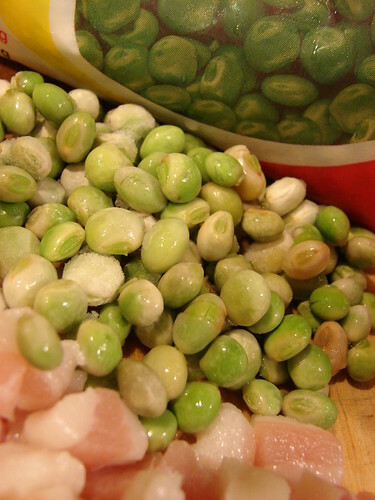 This recipe uses the frozen peas, however, if you are using the canned variety, just skip the step above. 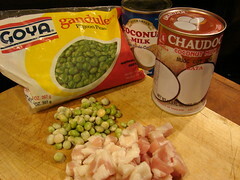 Instead, strain the peas and measure the liquid in the can, then add coconut milk and water to measure 3-1/3 cups. Fry the salt pork or bacon just before adding the rinsed rice. So, how did your pot come out?